There have been so many predictions about the increasing pace of change, the volatility and uncertainty in exponential times, and the ambiguity in how to make good decisions. It’s been a year since Canada’s Digital Talent Strategy was released. It’s a very different time now than it was in March 2016, and we are now only 2 years away from being short 182000 workers in this country in the digital economy. From the executive summary. Image links to original document. So what is the urgent learning need in our schools? Meanwhile, we have schools banning “cell phones” because they are a “distraction” from learning. Or could we rephrase this as schools banning “powerful pocket computers” that give students access to the best teachers in the world? 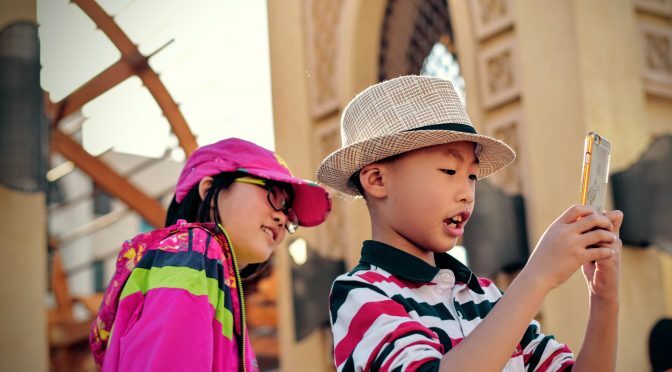 When students are “distracted” by “cell phones”, what is the urgent learning need of the child? When have we scaffolded the development of self-regulation with mobile devices? When have we empowered students by showing them how to connect with experts from around the world? How have we created the conditions for classroom learning to be relevant (an end game that changes rapidly)? How have we prepared students for 2017 by teaching them the essential digital life skills they need, to use a powerful pocket computer to learn, to connect globally, to solve adaptive challenges with others, and to acquire the life skills needed to thrive in 2017 and beyond? Or we could just take those powerful computers away from them so they don’t get distracted. This post is part of a #5post5days challenge issued by Carlo Fusco. Please take time to read the other blogs, and join in! Five posts in five days is not the same as one per day, and you can start any time! 1/5 posts available here. 2/5 posts available here. 3/5 posts can be viewed here. What other words in education to we need to rethink the definition of? As a huge fan of mobile technology I am glad to see the shift to adapting to the technology. In the past teachers would be fighting for their time in a computer lab and now each student has a supercomputer in their pocket. The need now is to shift away from banning and move towards teaching students about etiquette and appropriate use.